Warner Bros. scored an unbelievably massive hit with Wonder Woman this summer and they know it. Gal Gadot is set to reprise her role as Diana Prince in the upcoming Justice League movie, which initially seemed like it was going to focus primarily on Ben Affleck's Batman. But now, given the success of Wonder Woman, it looks like the studio may be shifting focus a bit, as evidenced by a newly revealed synopsis for Justice League. The latest story details were discovered by The Wrap, by way of a new Mattel Mera doll. The old synopsis for Justice League started with the line, "Fueled by his restored faith in humanity and inspired by Superman's selfless act, Bruce Wayne enlists the help of his newfound ally, Diana Prince, to face an even greater enemy." That definitely puts Batfleck in the driver's seat, but this new synopsis definitely bumps up Wonder Woman's role quite a bit. Here's the new Justice League synopsis. "Once again, Wonder Woman must demonstrate her ability as a fierce warrior. Facing a great enemy, she and Batman join forces to recruit a group of metahumans to stand against this newly awakened threat. Having formed an unprecedented League of heroes, they set out to save the planet from an assault of catastrophic proportions." It is inescapably clear that Warner Bros. knows that people love Gal Gadot's Wonder Woman and they are going to put her front-and-center while the iron is hot. Considering that this new Justice League synopsis leads off with her, even though it still emphasizes that she and Batman are joining forces, it seems like they are pointing toward her being the real one in charge of DC's super team. It would be one thing if this synopsis showed up on a Wonder Woman doll, but considering this is a doll for Amber Heard's Mera, it's much more significant. 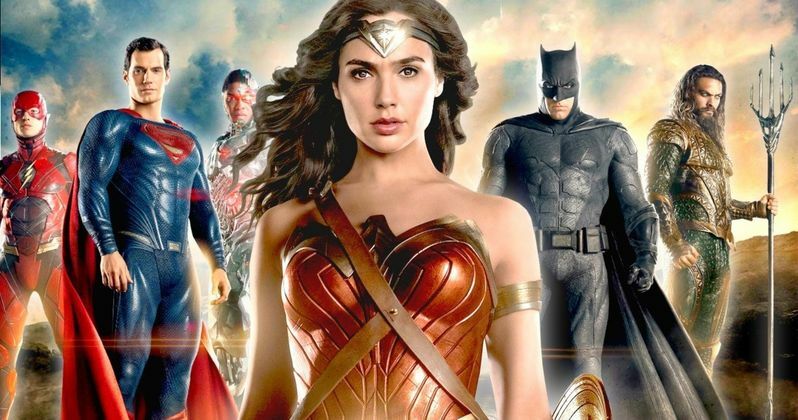 Joss Whedon, who took over directing duties for Zack Snyder after he was forced to depart the project over a personal tragedy, is currently doing some reportedly significant reshoots on Justice League. It is entirely possible that they are using this opportunity to beef up Gal Gadot's role. Considering that Whedon was at one point going to make a Wonder Woman movie, that would absolutely make sense. Plus, the Amazonian warrior is also set to appear in Flashpoint, so Warner Bros. wants to get while the gettin' is good. Wonder Woman has grossed just shy of $800 million worldwide, which is approaching Batman V. Superman: Dawn of Justice territory. It is no wonder that Warner Bros. is hoping a little bit of that magic will rub off on Justice League when it hits theaters on November 17. If they can make an equally crowd-pleasing movie that gives audiences a lot more Wonder Woman action, the DCEU will be in very good shape moving forward. It's going to be Wonder Woman's universe, everyone else is just going to be living in it.